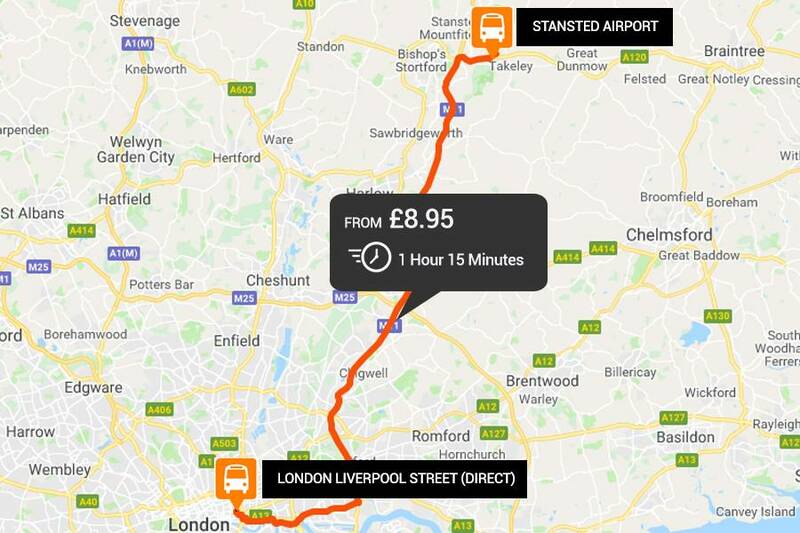 The Airport Bus Express service takes 105 minutes and runs from 155 Bishopsgate every 30 minutes. The stop address is 155 Bishopsgate, London EC2M 3YX, UK. Please check your ticket for information. These buses can be found at Stansted airport PTI coach Station at stops 13 and 14. Please Note: This route is operated by Airport Bus Express. Non preoccuparti se il tuo volo arriva presto o tardi!